Karon Beach features the third-longest beach on Phuket Island. Located on the west coast, between Patong to the north and Kata to the south, Karon Beach is the one of the most popular holiday destinations in Phuket. The beach itself has excellent snorkelling (and even diving) spots at its southern end and is wide enough for beachgoers to never feel crowded. 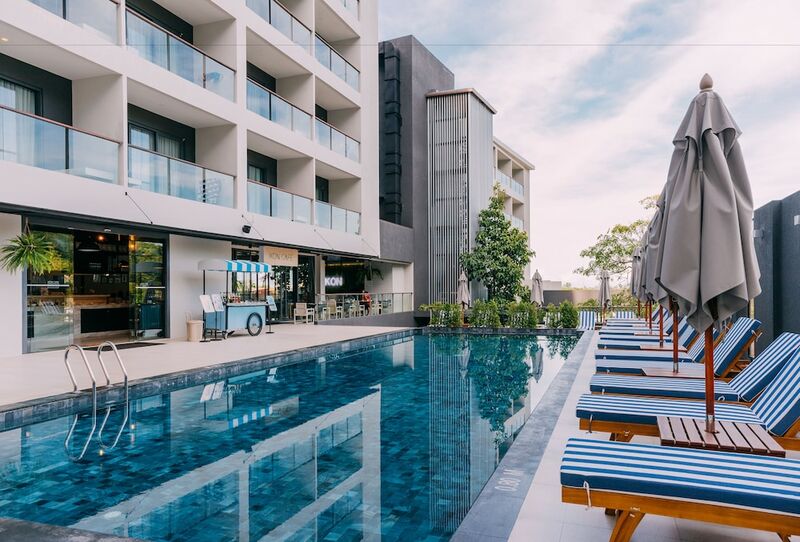 Karon features three main areas, each with their own assets: Karon Centre is a lively small city in which visitors can find a good choice of dining, shopping and nightlife entertainment, as well as a beautiful Buddhist temple hosting a bi-weekly market. Karon Beach Road is ideal for evening strolls and is home to several large resorts, as well as restaurants and shops (including the popular Karon Bazaar). The third main area of Karon is centred around Luang Poh Chuan Road, towards the southern end of the beach, which hosts excellent restaurants and the more raucous nightlife spot of the resort town.